An oil executive once observed that burning oil for energy is like burning Picassos for heat. Oil is extraordinarily valuable as the basis for so many products we use every day that the thought of simply burning it ought to be unthinkable. So versatile are oil molecules that they can be transformed into substances that serve as clothing, medicines, building materials, carpet, skin care products, sporting goods, agricultural chemicals, perfumes, and myriad other products. Increasingly, when we make oil-based products for homes and businesses, we are finding ways to reuse those products or recycle the materials they are made from (think: recyclable plastics). But, burning oil is always a one-time, irreversible act that leaves nothing of value behind and produces greenhouse gases and pollutants that harm us. And yet, because oil remains the most cost-effective and widely available source of liquid fuels, we are hooked on it for transportation with little prospect of substitutes on the scale we would require–unless we consider electricity. It is worth remembering that electricity was a strong contender for powering automobiles at the beginning of the last century and that it ran the trolleys of the era (and still runs many today). Electricity was actually preferred over gasoline for powering cars at the time, especially cars that were used exclusively for local trips. Battery exchange was already available as a quick way to "charge" a car. But improvements in the internal combustion engine and the increasing availability and affordability of gasoline led to the extinction of the electric car no later than the 1930s. More recently, despite all the hand waving about marginal gains in U.S. oil production, we have been experiencing a plateau in worldwide oil production since 2005. Ongoing tightness in oil supplies has led to high prices for gasoline and diesel, and so the world is turning once again to electricity to power transportation. Of course, many hybrid gas-electric vehicles are already in use, and some all-electric vehicles are now being produced for the mass market. But in a world increasingly faced with energy constraints and climate change, continuing to rely on the automobile as the main source of transportation may be a poor policy choice. First, astute observers will note that electric vehicles of whatever kind are actually powered primarily by fossil fuels. According to the U.S. Energy Information Administration two-thirds of all electric power worldwide is generated using fossil fuels. That means coal and natural gas are being burned to produce the lion’s share of electricity. Some oil is still used, especially in countries that export it and so have cheap supplies available to them. To reduce overall greenhouse gas emissions, we would have to burn less overall fossil fuel. Only one-third of the heat energy produced in a typical fossil-fueled power plant actually gets turned into electricity. The rest is expelled as waste heat which is why we see huge volumes of steam coming from cooling towers wherever fossil-fueled generating plants operate. Were it not for the fact that renewable energy can be employed to make electricity, electric-powered vehicles on a mass scale would provide little advantage when it comes to pollution and greenhouse gas emissions. These vehicles would, however, still reduce dependence on petroleum. There are two obvious moves that would substantially reduce our reliance on fossil-fuel produced electricity. One already mentioned would be vastly expanding renewable energy sources such as wind, solar and hydroelectric. Naturally, there are the problems of load-balancing and storage related to intermittent power sources such as wind and solar. These problems would have to be overcome in the long term in order to allow the electrification of transportation based primarily on renewable energy. But, there are plausible paths to such an outcome, especially if overall reductions in energy use are part of the path, something I’ll discuss below. Naturally, nuclear generated electricity can also be used to power vehicles. But I am doubtful that in the post-Fukushima era, nuclear power will be a viable option for increasing nonfossil fuel-based electricity production, both for political and technical reasons. A second move that would reduce our reliance on fossil-fuel based electricity would be a vast expansion of our mass transit systems. Done properly, this expansion would reduce overall energy use in transportation by moving people from energy-intensive automobiles into more efficient mass transit. An overall reduction in energy use is important because, for many reasons, it is unlikely that renewable energy production will be able to match the huge quantities of energy we currently get from fossil fuels. The expansion of mass transit would need to be executed in a way that would make such systems so ubiquitous, convenient and inviting that people would prefer them over cars as many do in major American and European cities. Much of the mass transit infrastructure can run on electricity and already does including electric-powered subways, commuter trains, buses and trams. To that infrastructure we would need to add electric-powered, high-speed passenger rail service between major cities. That’s already in place in Europe and Japan. In the United States such a high-speed rail system would reduce the need for short-haul air travel and thus reduce jet fuel use. And, we’d want to expand and electrify freight traffic over rails, something that would lessen the need for long-haul trucking. Even in trucking, hybrid trucks are starting to appear in commercial fleets, something that can further reduce use of diesel and gasoline. Of course, some modes of transport are not going to be amenable to electric power. Electric-powered planes are not impossible, but would probably not be able to carry much weight given the current state of battery technology. Ocean-going freighters will likely continue to need liquid fuels, though sails are starting to appear on some to reduce fuel use. On land we will almost certainly need some liquid fuels for four categories of vehicles: rural transport, farm machinery, heavy equipment and emergency vehicles. It probably isn’t cost-effective to string wires in rural areas for local transportation because population densities are too low. Some people are working on electric farm machinery charged using solar cells. But, the work needs to progress further before it can be widely adopted. For some farm tasks, liquid-fueled engines may continue to be the most practical approach for a long time to come. Where construction and mining take place away from sources of electricity, heavy equipment will have to operate using liquid fuels. Emergency vehicles could use electricity, but would have to have liquid-fuel capabilities in case the electricity is unavailable. In the United States 71 percent of the petroleum products consumed are used in transportation. If the country were able to run its transportation system entirely without oil, the United States would not only cease to import oil, but would have significant surplus oil production. Of course, such a change could only take place over many years. But the advantages to such a transition are so numerous that we should not dismiss it as too difficult or costly. Only 5 percent of all oil is used to produce petrochemicals–chemicals which form the basis for the almost miraculous materials and substances that we now take for granted. By ceasing to burn the bulk of our oil to move goods and people, we could sustain the production of these products for a very long time. And, properly formulated, many could be recycled almost indefinitely. That seems like a much better use of an energy source that doubles as the "renaissance man" of the chemical industry. When you add in the reduction in greenhouse gas emissions and air pollution; an end to oil imports for the United States and possibly many other countries adopting the same strategy; and the financial boost of keeping funds previously spent on imports at home, it’s hard to see why electrifying transportation would not be a good idea–so long as it is done with any eye toward increasing renewable energy production while reducing overall energy consumption in the transportation sector. 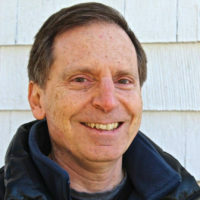 Kurt Cobb is an author, speaker, and columnist focusing on energy and the environment. 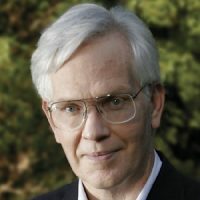 He is a regular contributor to the Energy Voices section of The Christian Science Monitor and author of the peak-oil-themed novel Prelude. In addition, he writes columns for the Paris-based science news site Scitizen, and his work has been featured on Energy Bulletin, The Oil Drum, OilPrice.com, Econ Matters, Peak Oil Review, 321energy, Common Dreams, Le Monde Diplomatique and many other sites. He maintains a blog called Resource Insights and can be contacted at [email protected].